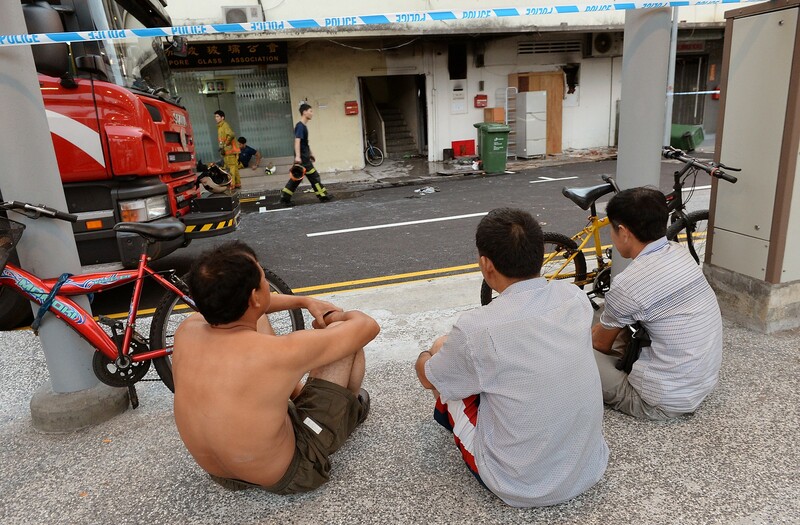 It is Singapore's worst fire in 10 years. 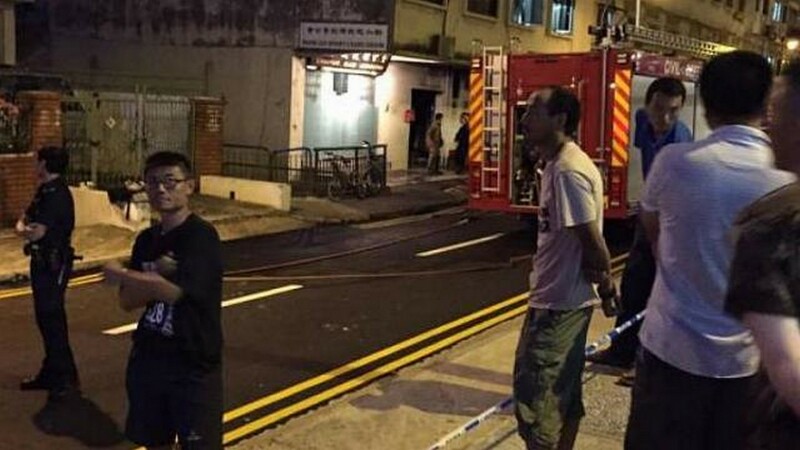 Four men were killed after a blaze broke out at a Geylang Lorong 4 shophouse just after 1am on Saturday. Eight were injured, including two firemen. 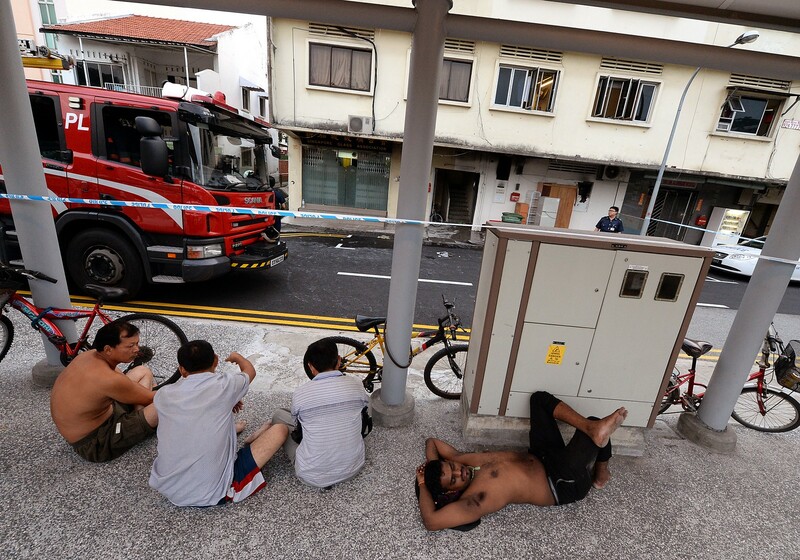 The Singapore Civil Defence Force (SCDF) said it received a call at 1.40am.Two fire engines, two Red Rhinos and six ambulances were dispatched to the scene. 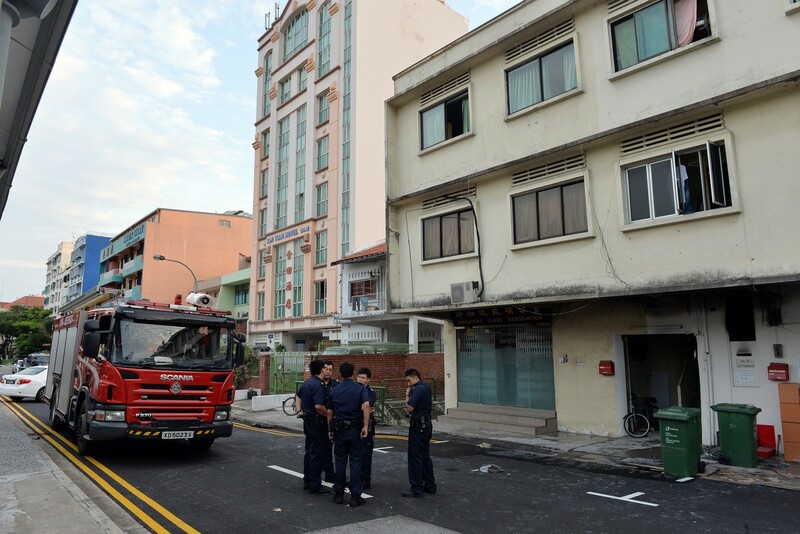 Residents reported hearing an explosion before thick smoke enveloped the three-storey building facing Sims Way. 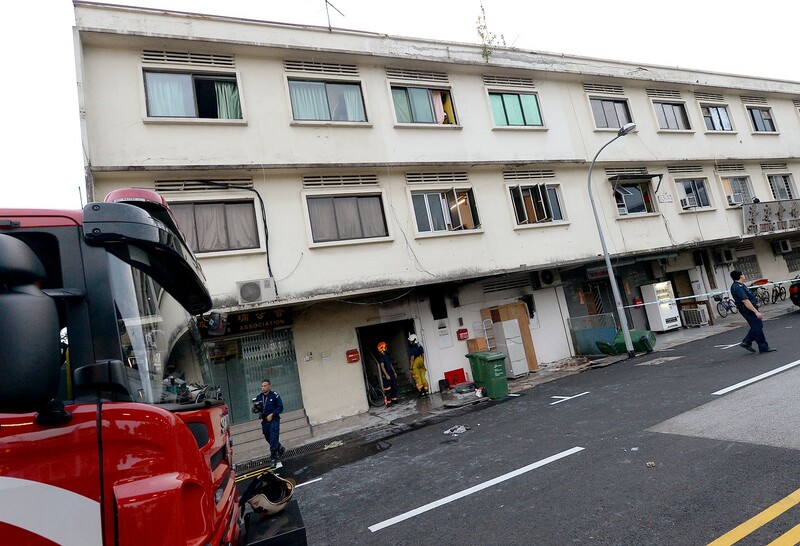 Eyewitnesses said the fire, which has claimed the most number of lives in the last decade, started in a first-storey unit which was shared by foreign workers, mostly from Malaysia. 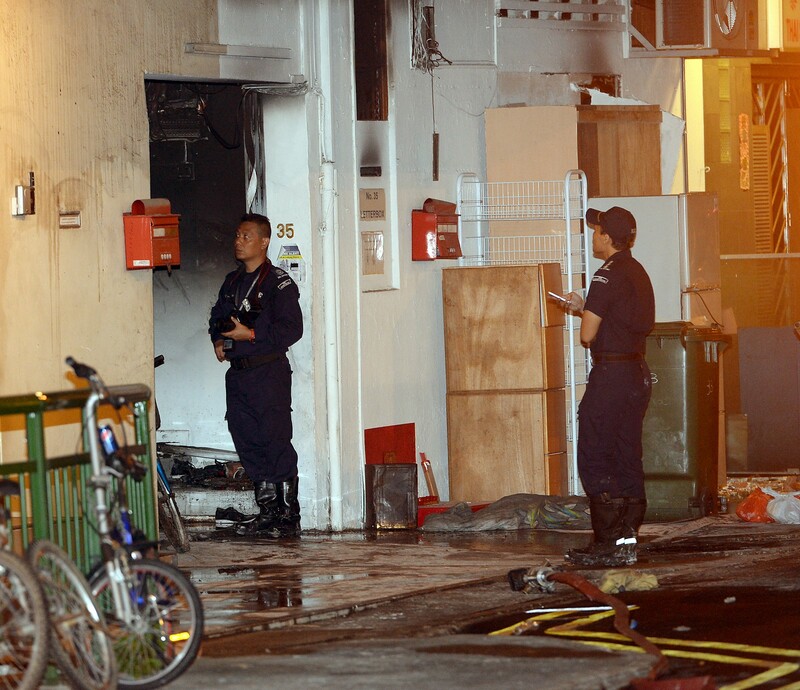 SCDF officers said the fire was located in the centre of the unit, and it was extinguished within 30 minutes. 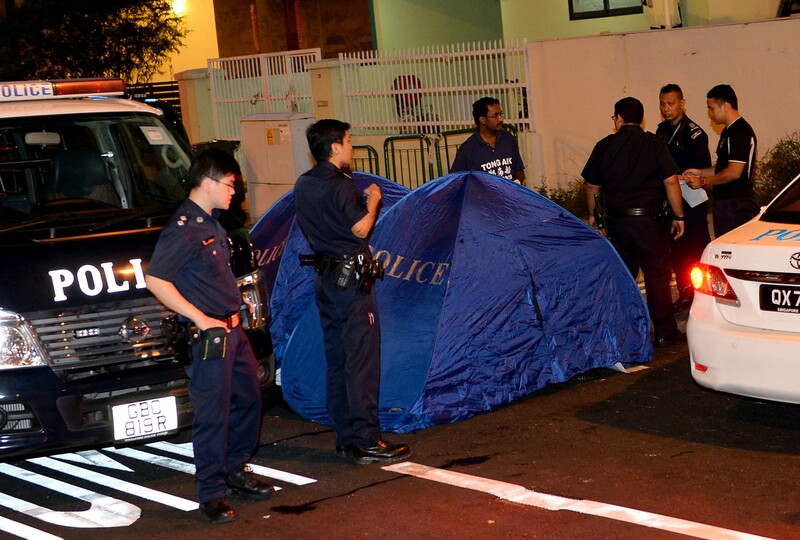 All four victims, cleaners from Malaysia, were living in this unit. 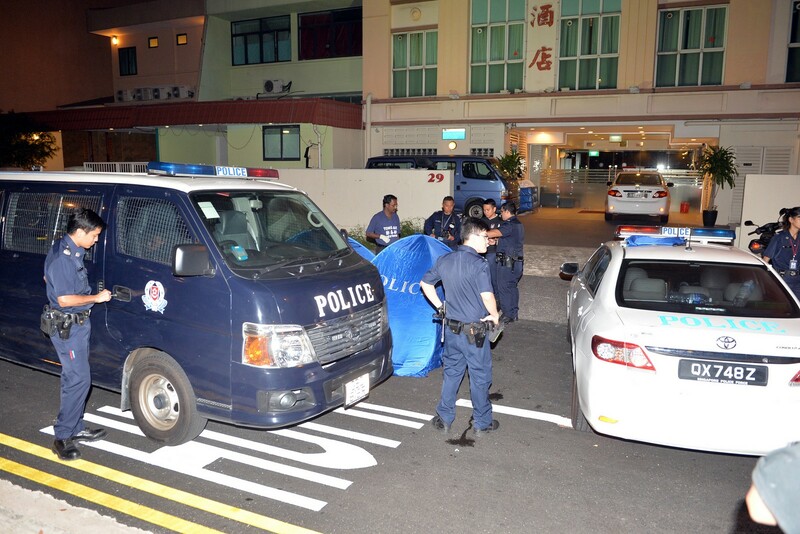 Known to their flatmates as Mr Ramu from Ipoh, and Mr Yusof and Mr Jobikol from Sabah, the three were pronounced dead at the scene. 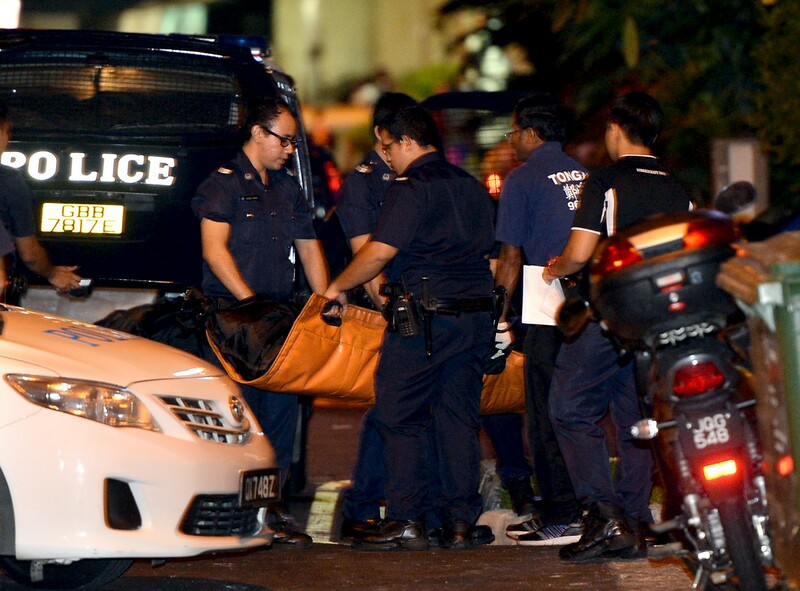 Hours later, another Malaysian from Sabah, known to his roommates as Mr Mazlan, 48, succumbed to his injuries in hospital. 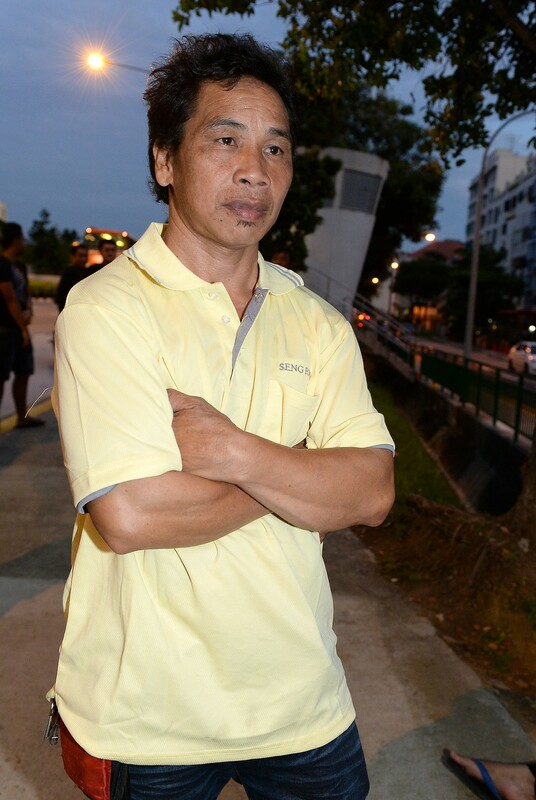 The New Paper on Sunday understands that Mr Mazlan's younger brother, who was also injured, is still being treated in hospital. The unit in question - believed to be an area only slightly bigger than 1,300 sq ft - had nine rooms, each equipped with bunk beds, a tiny kitchen and a toilet. Some of the men said their companies had helped them secure accommodation there. 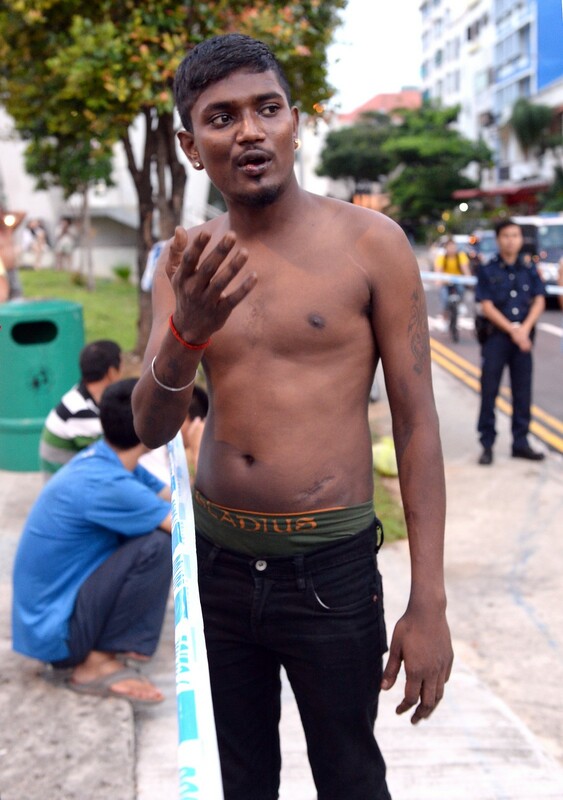 One of the unit's residents, Mr Sapawi Ahet, escaped after he was woken up by shouts of fire by Mr Ramu. 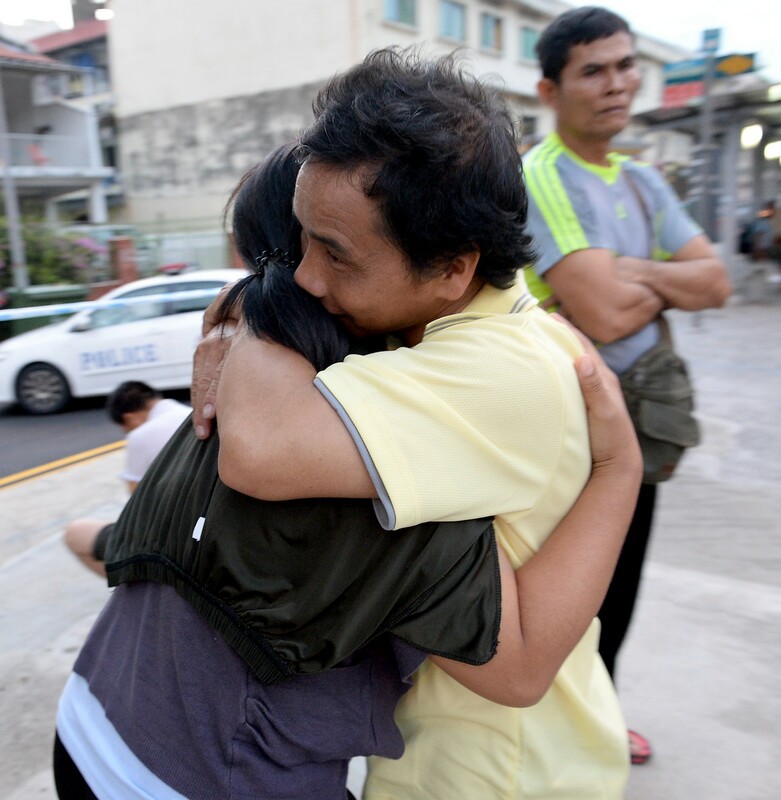 He rushed out through the thick smoke, but his flatmates who had followed seconds after suffered the effects of smoke inhalation, he said. Eyewitnesses said that rescuers were frantically performing CPR on the unconscious men they carried out, but to no avail. 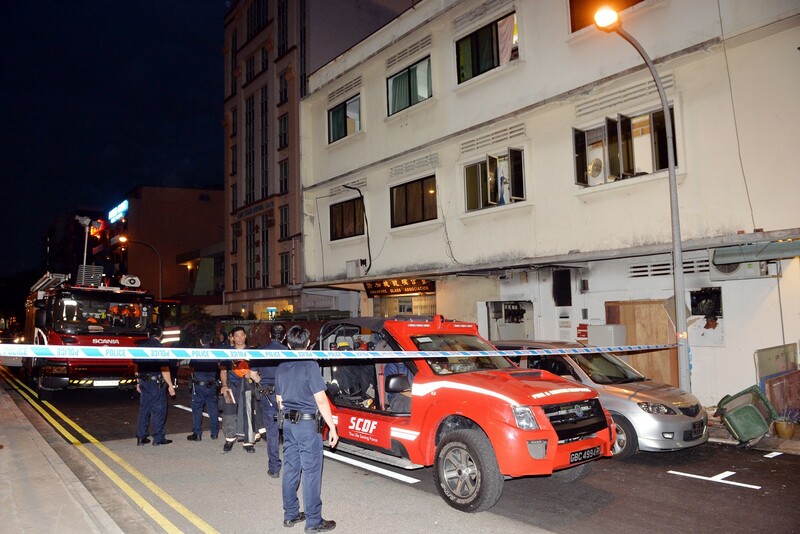 Another group of men living in a unit on the third storey said they opted to jump onto a balcony of an adjoining building, before climbing down. 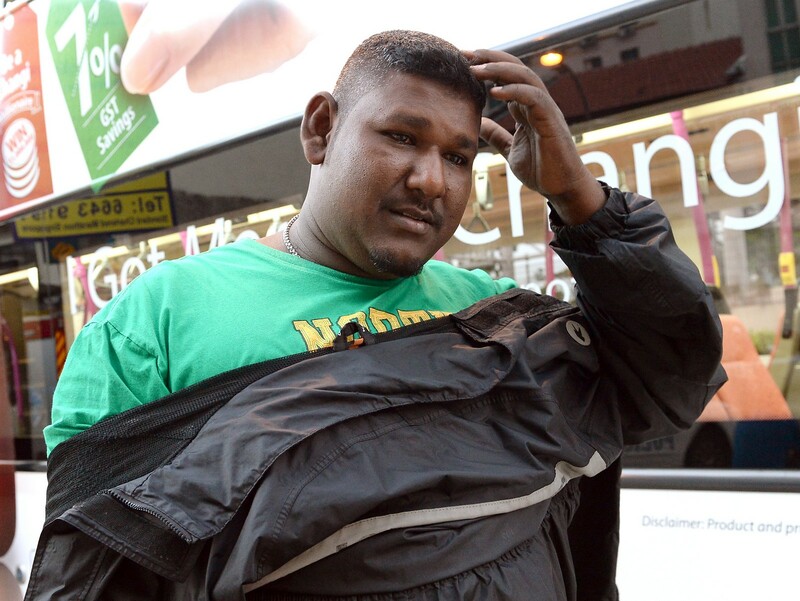 Malaysian Mohd Zarulakhma, 26, a cleaner, said the smoke stopped them from taking the stairs. 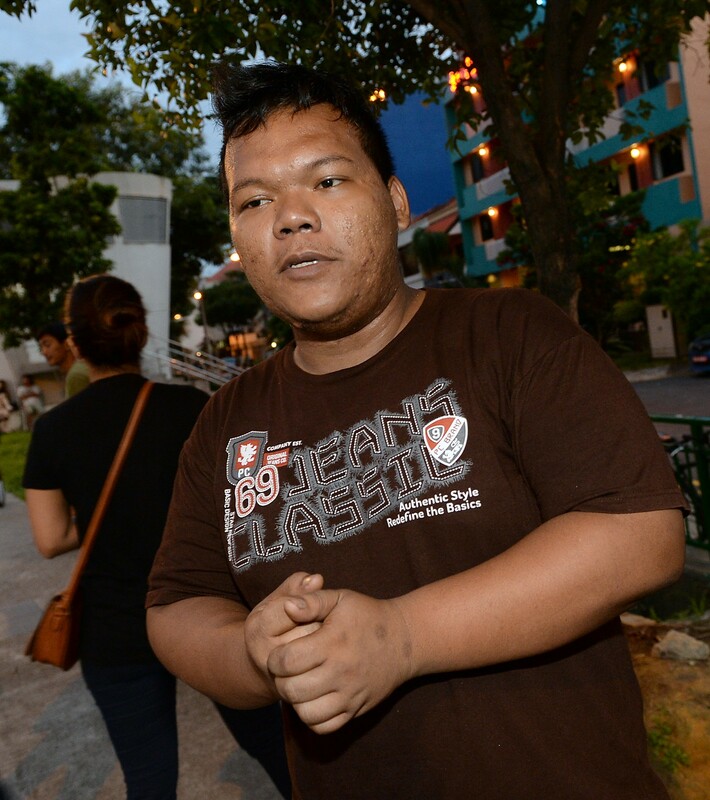 His flatmate Mohd Shazwan Ahmad Zukri, 25, also a Malaysian, added: "It was terrifying. The smoke was suffocating. We're lucky we managed to help each other get out." 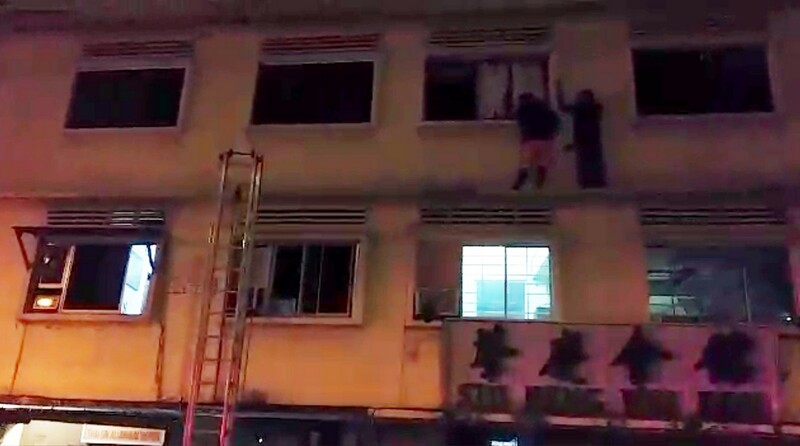 Two other men were spotted climbing out of the windows of their third storey unit to get away from the smoke. 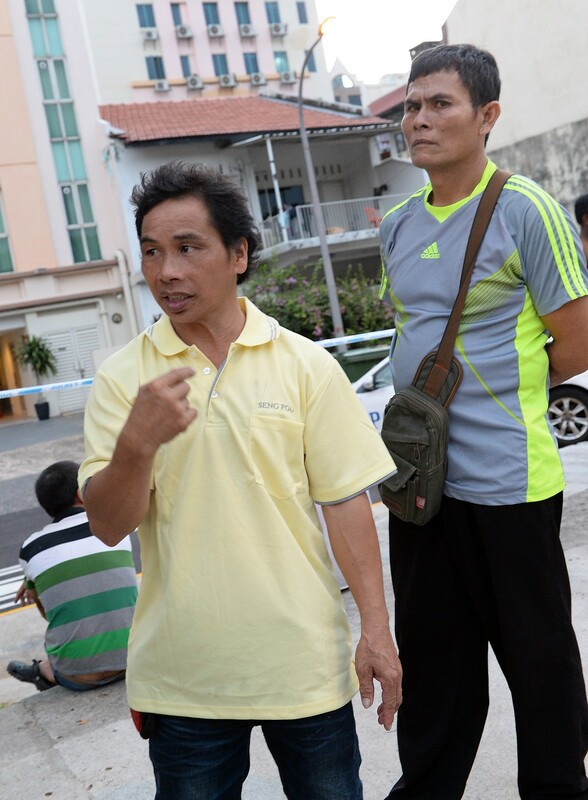 They were subsequently rescued by SCDF officers. 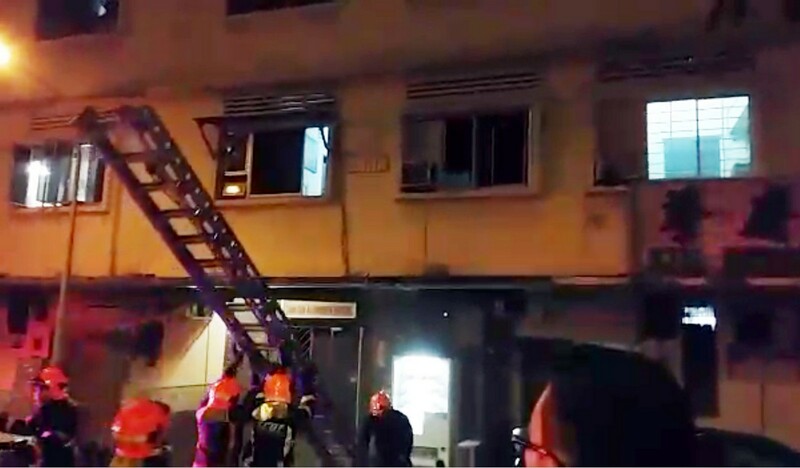 A fire broke out early this morning at a shophouse in Geylang Lorong 4. Three people were killed in the blaze. 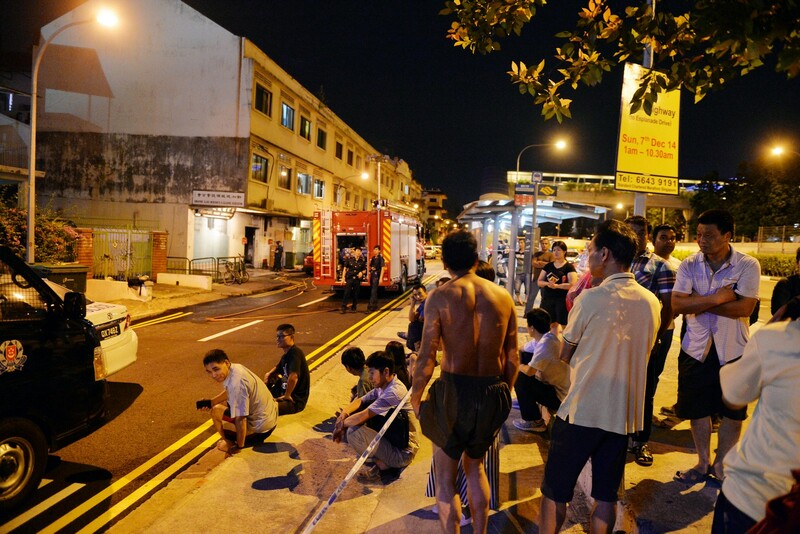 The Singapore Civil Defence Force (SCDF) said in a media statement that they were alerted to the fire at about 1.40am. Two fire engines, two red rhinos, six ambulances and two supporting vehicles were dispatched to the scene. 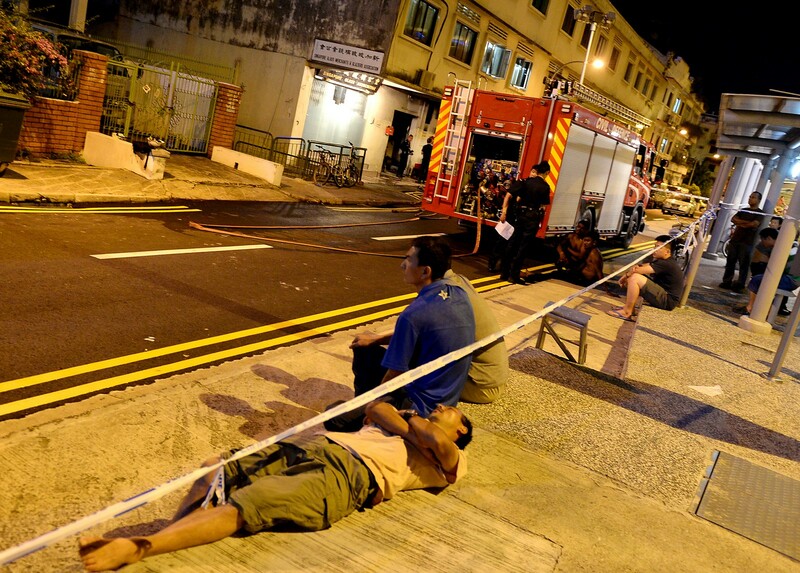 "Upon arrival within five minutes, thick black smoke was coming out of the unit," the SCDF statement said. 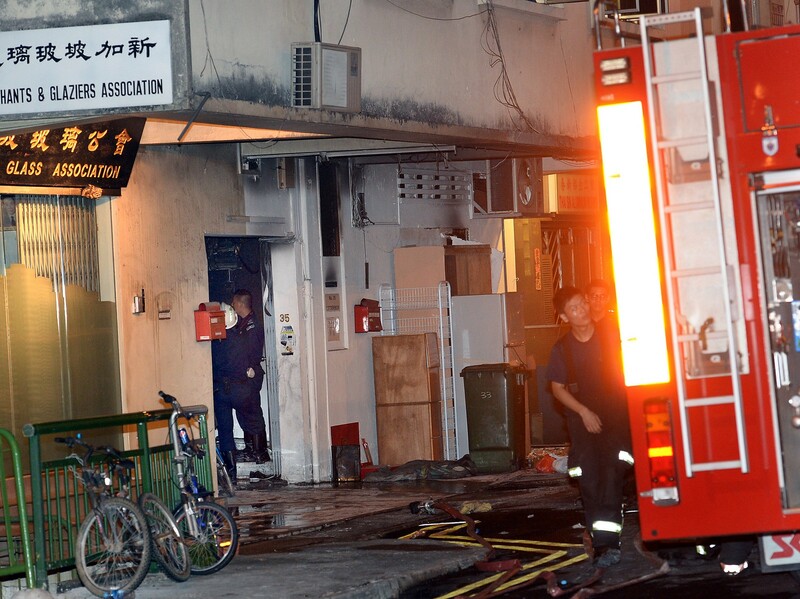 According to SCDF, fire fighters entered the unit with two water jets. The fire was located in the centre of the unit and was extinguished within 30 minutes. 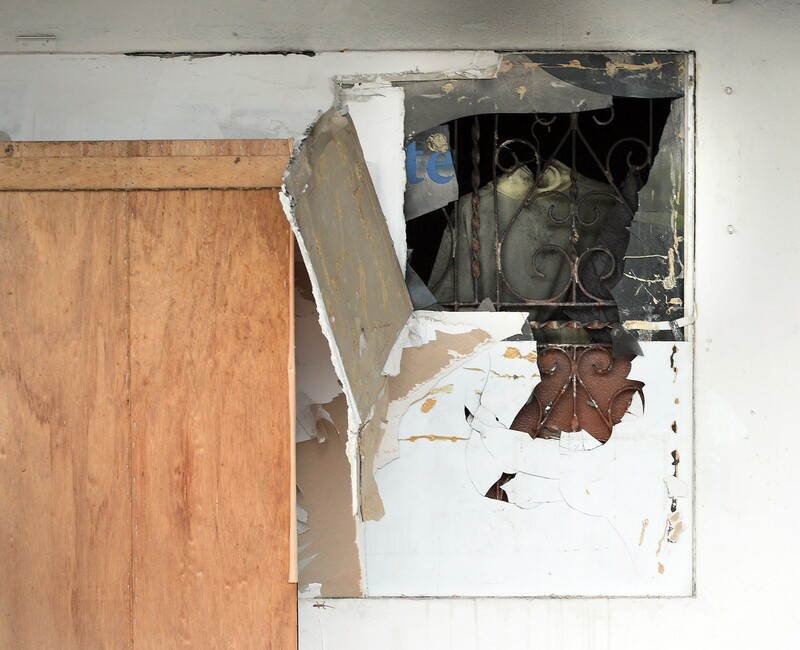 While conducting a search of the unit, fire fighters found three people lying unconsciousness in one of the rooms. 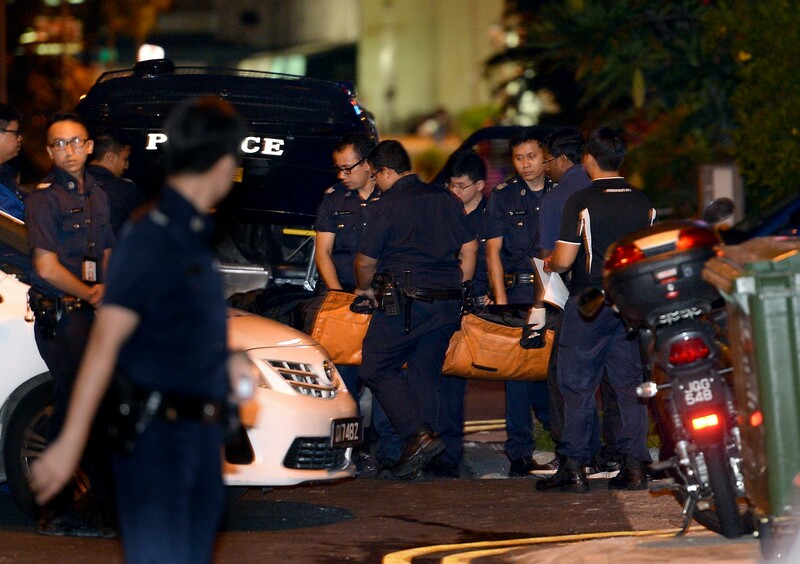 They were immediately brought out of the unit and CPR was performed on them by SCDF paramedics. However, they could not be saved and all three were later pronounced dead at scene. 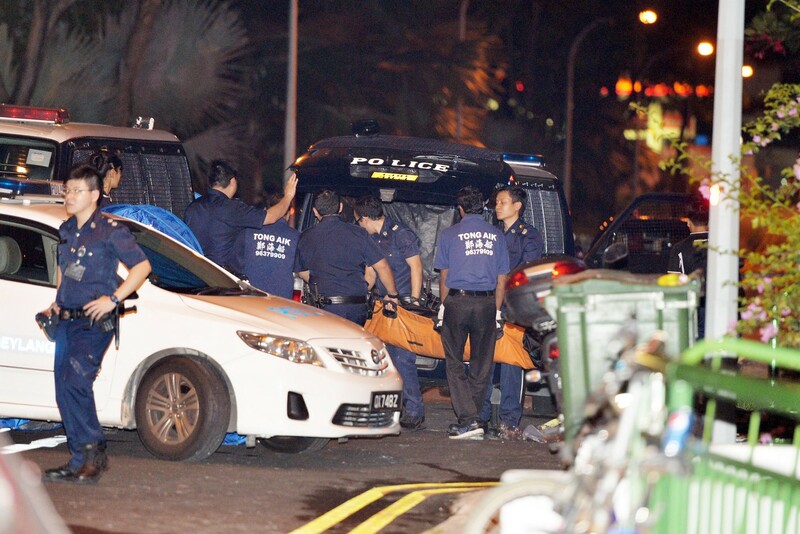 SCDF said it also conveyed seven other occupants of the unit to Tan Tock Seng and Singapore General Hospital. Two fire fighters sustained minor injuries while fighting the fire and were also sent to hospital.